If you need to talk, hit the chat button below and we'll connect you with an ex-serviceman or woman who understands what you're going through. The ‘All Call Signs’ community has grown at an amazing pace in the few months, with the Facebook page, Listener Service and Beacon App doubling in size. 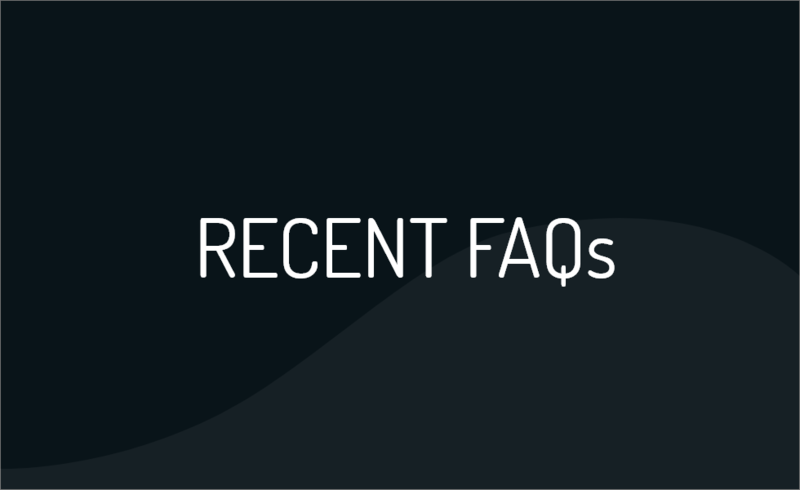 We decided it was a good time to answer some of the questions that we’re frequently asked by members of the community and those interested in what we do. First off, What is All Call Signs? We’re an organisation made up of volunteers supporting veterans. We’re probably better known because of our two applications: Our chat app is a peer-to-peer support network that connects veterans or service personnel who need a chat with other members of the military community. Our other app, Beacon, is an AI powered FB Messenger application for quickly spreading the word when a member of the community is believed to be at risk. Predominantly it is used for information gathering but can be used to organise search parties too. There are quite a few groups doing this type of thing, what makes All Call Signs different? Everyone working in this space has the shared goals of saving lives and improving things for veterans and service personnel. We’re no different in that respect. We try to cut out the middle men as much as possible, so for instance we’ll only launch a Beacon if we get the information from family or police directly. We don’t try and do everything ourselves as we’re basically just here to empower the community with the right information at the right time, so they can help as best they can. Our chat app is volunteers. Beacon is volunteers. It doesn’t work without likeminded people. Some say sending out search parties can hinder an investigation, is that true? When one of our community go missing it’s almost never foul play on someone else’s part, they’ve gone off grid with the intent of harming themselves. There’s no crime scene to preserve. The biggest risk in our user group is that they’ll have done something regrettable before we get to them. That’s why moving quickly is important. There are other things to consider though, such as weather, the land and the length of time the person has been missing. We never launch a search without direct comms with the leading agencies, including search and rescue and police. In fact, we’ve only launched two search parties and joined one in over 10 Beacons, so that shows that Beacon is only ‘boots on the ground’ if it is appropriate to do so. So someone reading this that isn’t an All Call Signs member, how do they help? By far the easiest way to make an impact is to join Beacon. The more people we have on that platform, the quicker we can bring people home when they go off grid. If you have a friend who is a veteran or serving member of the forces and they need to chat through any issues, please encourage them to use our chat app. How do you know Beacon is working? We’ve had direct feedback from people who have gone missing to say that they returned home because they saw the huge number of people that were concerned for them, through their Beacon Alert. We’ve had our members actually be the one to find someone who has gone off grid. Dependent on the amount of time a Beacon is live it can reach between 200,000 and 2.5 million people. That’s a huge number of people looking out for the welfare of someone in a bad way and it makes all the difference. Every week we have new conversations with Missing Person’s units, Police and Search Teams about how we can better unify the response to a missing veteran or service person. That’s enough for us to continue spending time and money in developing the Beacon platform. What’s next for All Call Signs? We have very specific goals that we would like to reach and they’re big goals. In 2019 we want to grow Beacon to 10,000 users. This will likely give us a footprint of around 20 million+ ‘eyes on’ when a veteran or service person goes missing. We want to ensure the veteran listeners signing up to man our chat application are given more training so they can feel more empowered to help their brothers and sisters in arms. This is a huge focus for the coming year. We’re keen to continue campaigning to both government, and the larger charities in the sector, to ensure that more is done for service leavers and veterans in crisis. At the moment, all of the ‘forces mental health’ services are underfunded and this comes back to a fundamental lack of understanding about how big the problem is. If we can play a part in changing that, then we certainly intend to do so. What message do you have for your members? Just a big fat thank you, really. Thank you for being here and continuing to support what we’re trying to do and for being a hugely important part of that. It may feel like we’re tabbing through a bog sometimes but we promise you, things are changing, slowly. The next year or so is going to be pivotal in changing the system long term, for generations to come. If we keep going, we genuinely feel that we can make mental health as recognised and respected as physical health in the armed forces community, so stick with us and together we can leave a legacy. If you need to talk, we're here to listen. Chat now. The latest articles and updates from the ACS team. Could you be a friendly ear to a mucker in need? Learn More. Learn more about the charities and bodies that exist to help you. We take misuse of the ACS chat app seriously. Report it now. Here's a few things you can do to help us reach more people.